That didn’t take long! 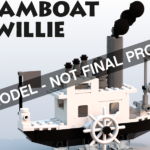 After the official announcement from LEGO Ideas that the Steamboat Willie project would become an official set, we’ve been given the details for the final product. It’s only been about a month! It’s a staggeringly high turnaround. 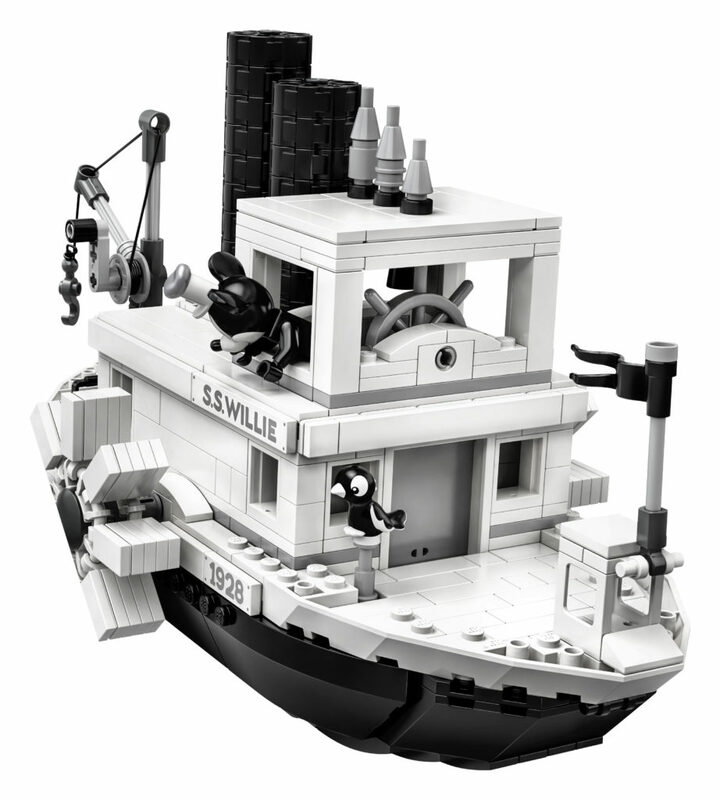 It’s quite possibly the quickest we’ve seen for a LEGO Ideas set. 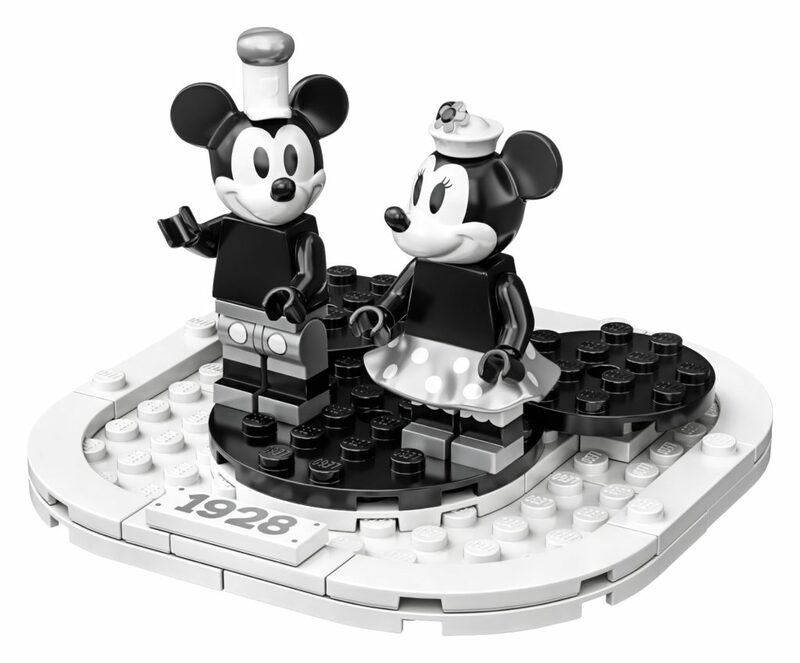 Anyway, the official set has been announced, and it’s a massive step up from the original submission. There’s definitely plenty of nods to the original project submitted by Máté Szabó (szabomate90), but there’s just so much more detail! 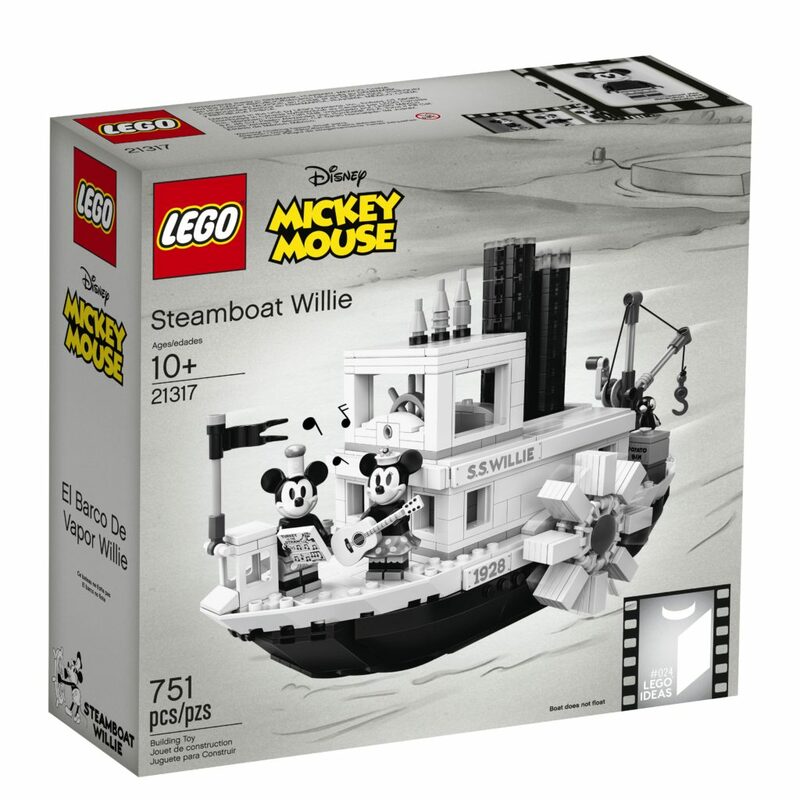 21317 Steamboat Willie contains 751 pieces (up from 156 in the original submission) and will retail for US $89.99 / DE €89.99 / UK £79.99 / AU $129.99. It’s available for purchase from April 1st, 2019. There is no VIP early access for this set. It’s not a cheap set! I was expecting under AU $100. 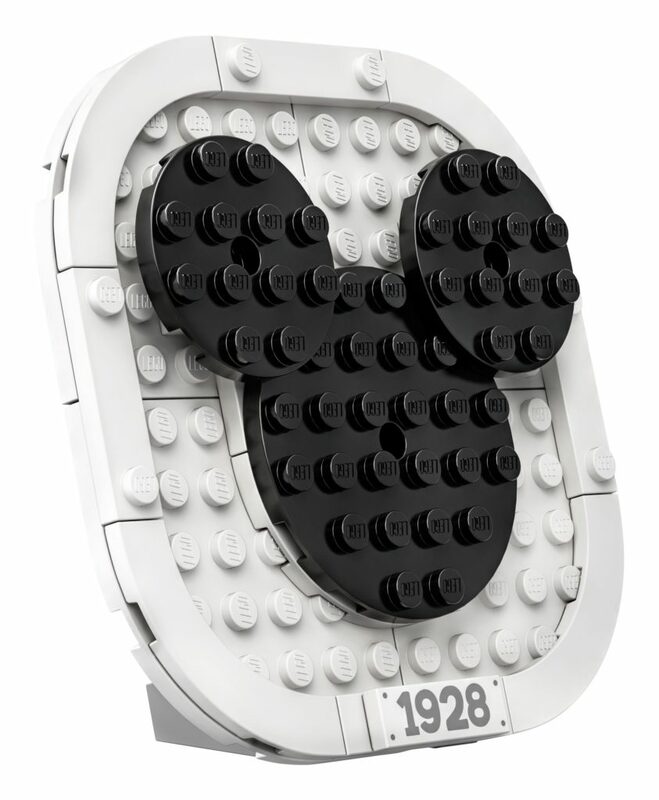 To be honest, for that price, I would have liked to see a Pete minifigure in there as well. Who’d have thought that a black and white set would look this good! It’s going to be stunning on a shelf. 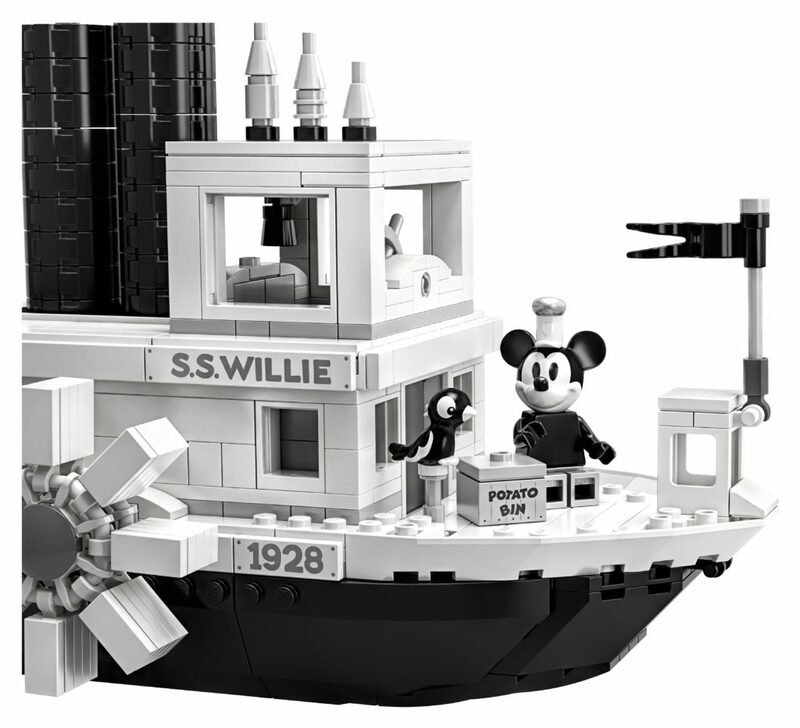 It’s excellent that the designers have decided to drastically increase the size of the S.S.Willie from the initial submission and add many details from the original Walt Disney Animation Studios cartoon. 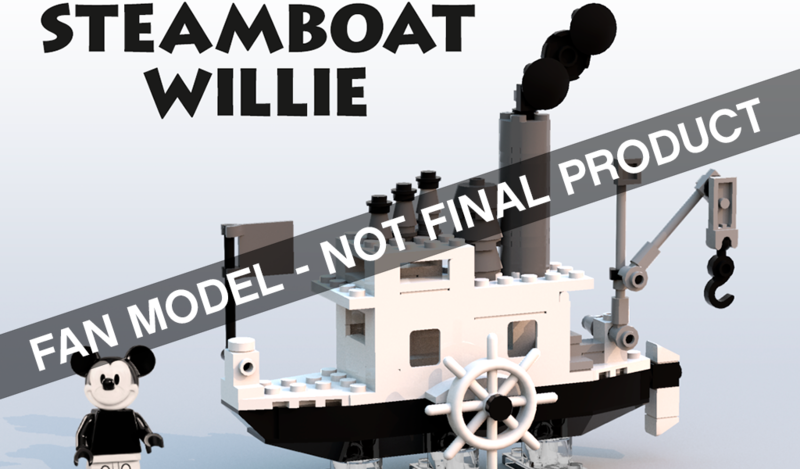 I’ve added the full Steamboat Willie video below. There’s a lot of nods in the set to the details in the short! 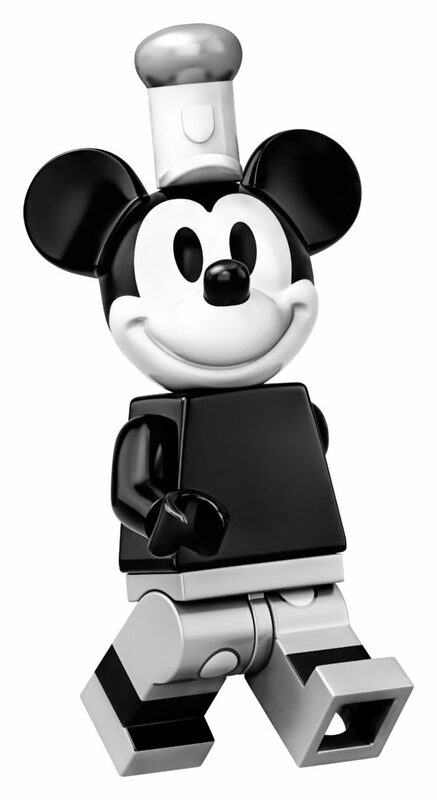 It’s from 1928, and is considered the debut of Mickey Mouse. It’s the first Disney animation that has synchronized sound, including musical score and character sounds. It’s the first cartoon to have a fully post-produced soundtrack. 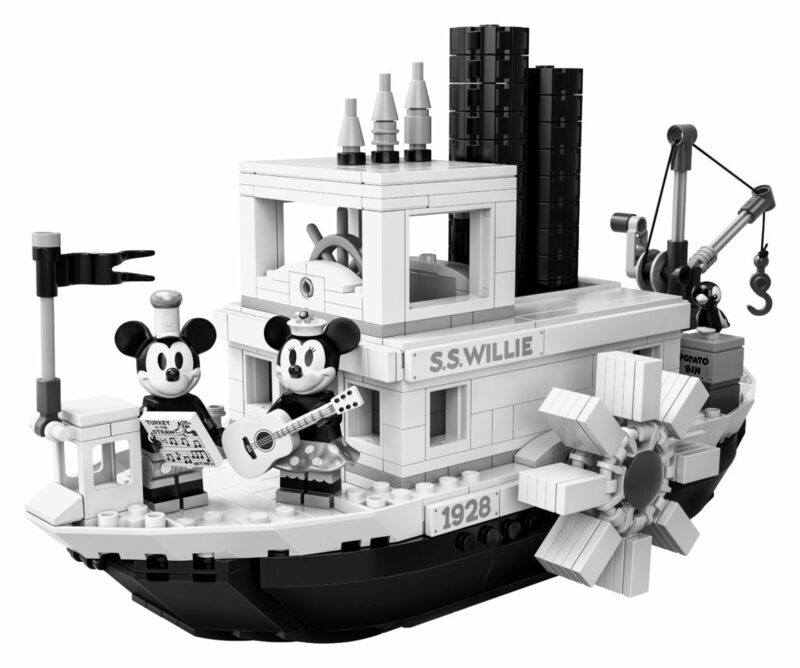 Walt Disney himself performed all of the voices, for Mickey, Minnie, and Pete, the actual captain of the S.S. Willie. 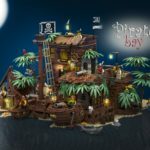 Ok, what we’re all here for – the LEGO set. 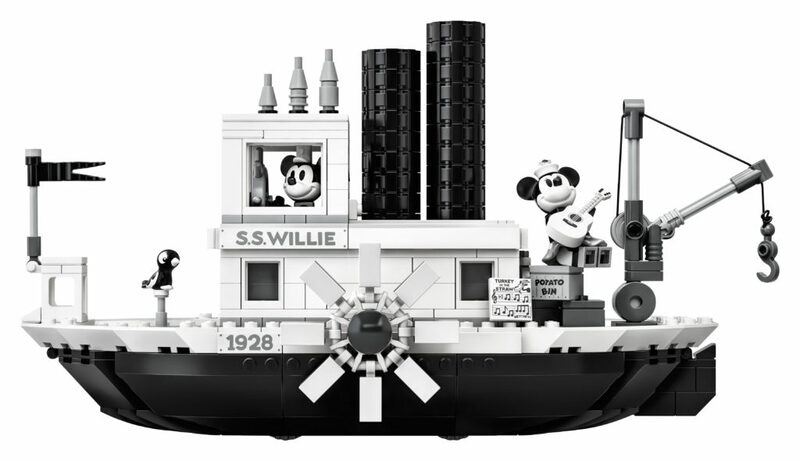 There’s some good fun play elements in 21317 Steamboat Willie. Just like the animation, thanks to what I’m assuming are some wheels at the base of the set, the chimney stacks move up and down, and the paddle wheel rotates. 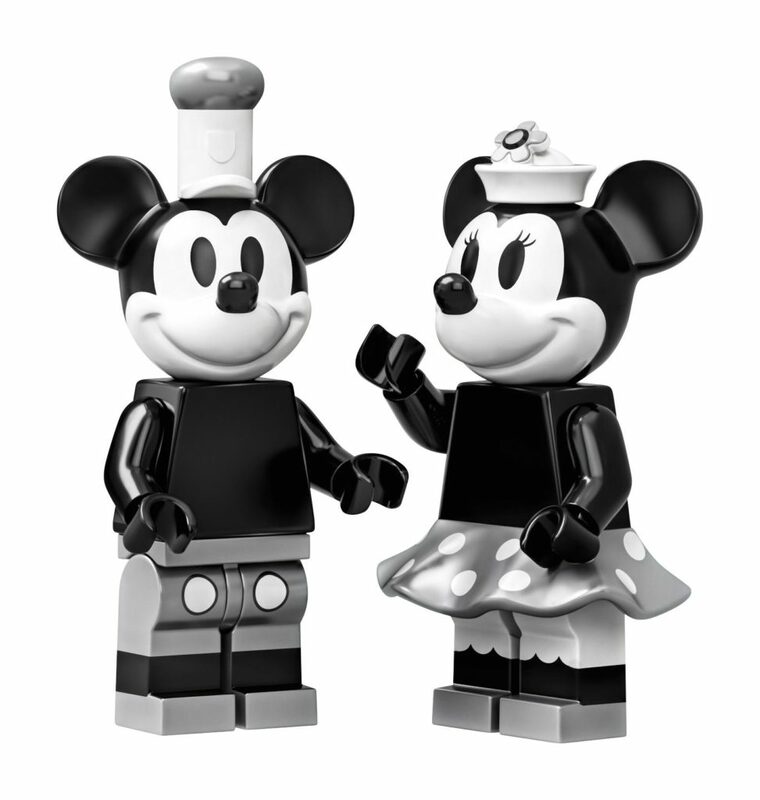 There’s two minifigures included – Mickey Mouse and Minnie Mouse, both looking fantastic in black and white. I love their hats! 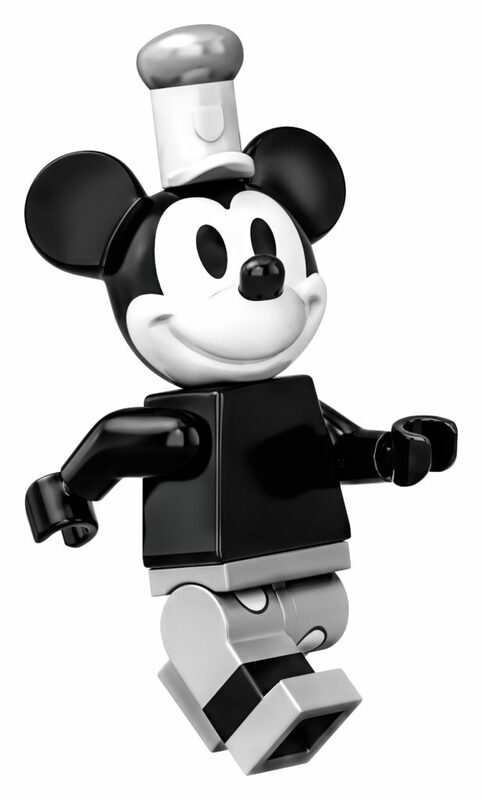 It’s a pity that the modern, cute look of Mickey Mouse is used here, and not the more angular version from 1928, but they are still effective in black and white. 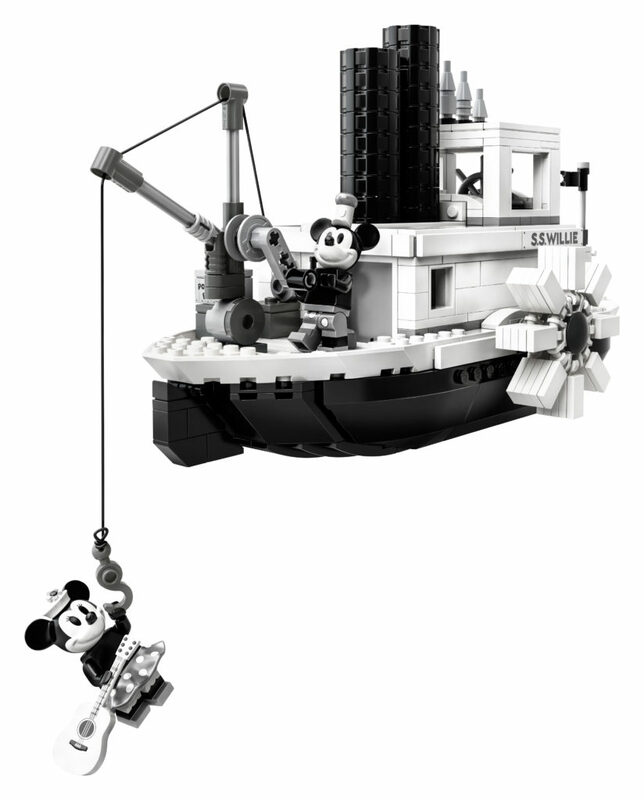 As I said before, the black and white set will look extremely striking against the colours of other LEGO sets. I love that it doesn’t need to have a pop of colour to look incredible. 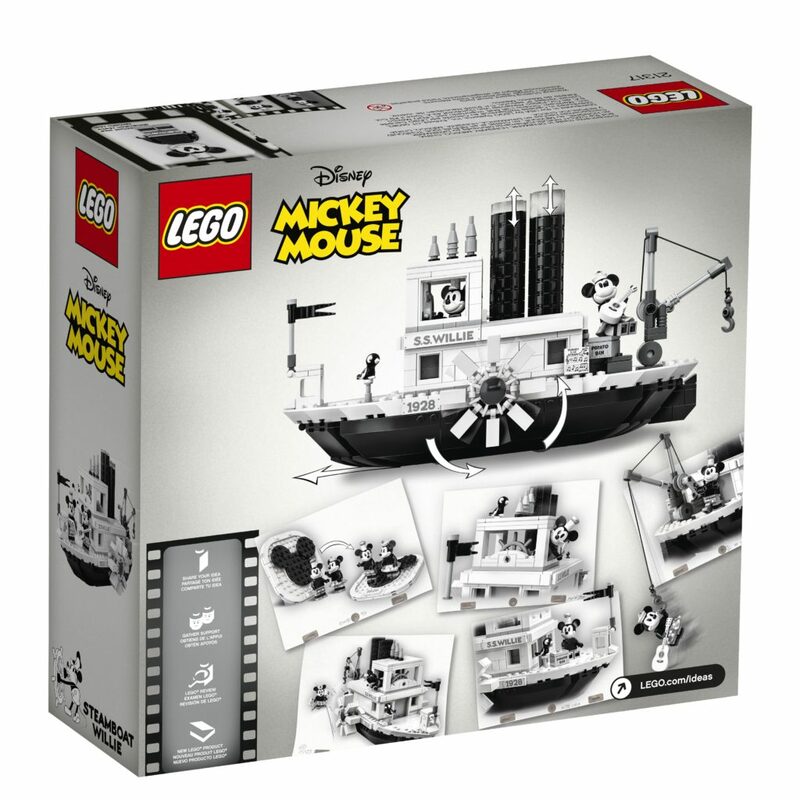 This is going to be a very unique set. As far as other inclusions that match the animation go, there’s the parrot (a recoloured Friends bird – perfect for future magpies! 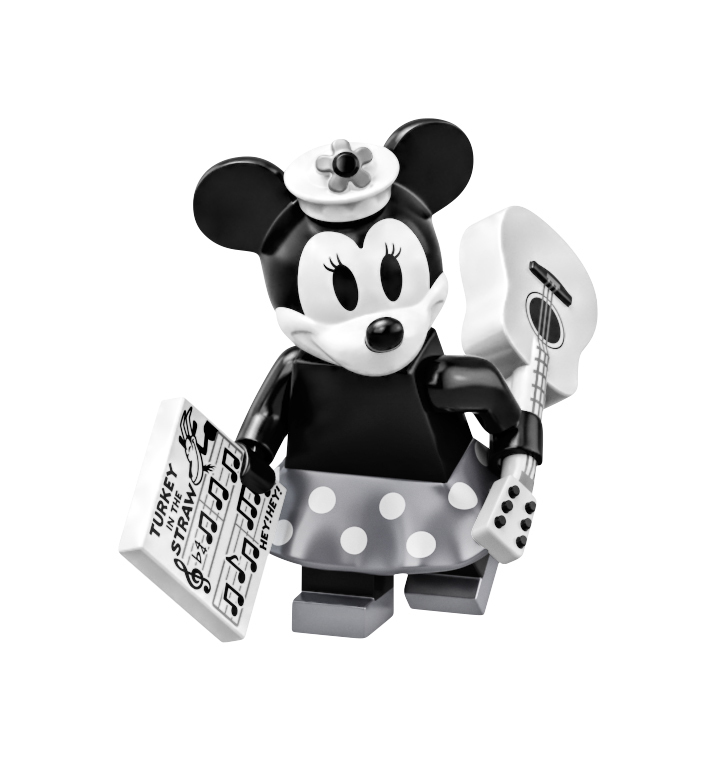 ), Minnie with her guitar and music sheets for Turkey in the Straw, and the “potato bin”. There’s a lot to like about this set – the three whistles, printed plates, that useable crane, even the size of the build – it looks great. To be honest, I wasn’t sure how the first version was going to sell, but I think this one will be popular. 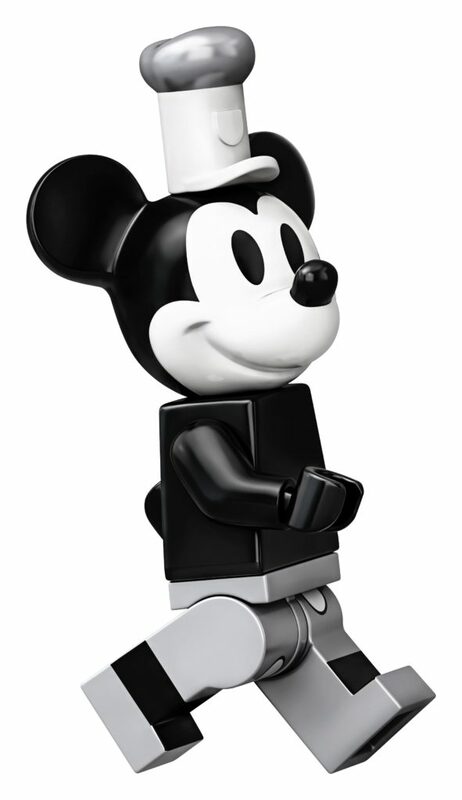 You also get a nice Mickey Mouse silhouette build, perfect for displaying next to the set. The full press release is visible below, along with some more images.